HomeFake Leupold Mk4’s Reviewed – Junk or …….. ? 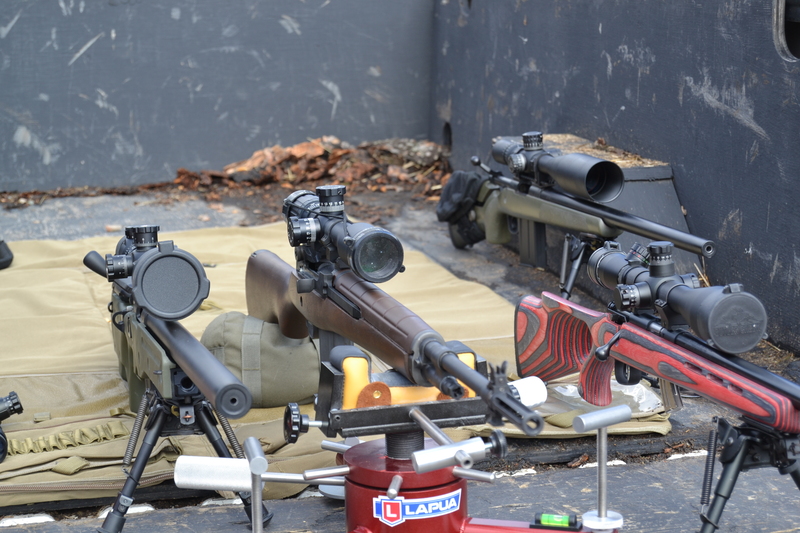 Fake Leupold Mk4’s Reviewed – Junk or …….. ? I decided to write this article after participating in some online discussions about these fake scopes out of China. This article isn’t about the morality or legality of what the Chinese do but rather it is about whether or not these scopes are any good or not. Firstly a bit of background. Anyone who has read my stuff would likely agree that while I have some nice stuff I also have some pretty regular gear as well and I don’t think anyone could seriously argue that I’m a rifle or optics snob. While my two F-Class match rifles wear S+B PMii (Open) and NF BR scopes (FTR) many of my other rifles wear what I’d call the ‘value buys‘ in their market segments – for example, my new Timberwolf wears an Bushnell Elite Tactical 3.5-21 while my Coyote wears a Sightron Siii 8-32 – both excellent value scopes but not especially prestigious. It was with value in mind that I picked up a couple of fake Mk4 scopes off Ebay a year or so ago to go on a pair of .22LR rifles that I occasionally plink with. 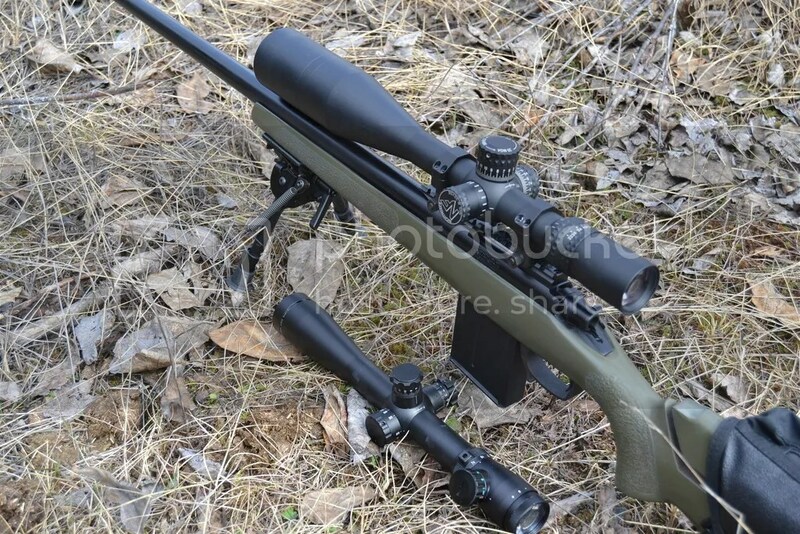 These scopes weren’t advertised as being Leupold’s because Ebay has some strict rules about these matters but, clearly, they were made to look like the offerings from the well-known, American, scope maker. Honestly though even in the pictures they didn’t look like the real thing at at the price – both were well below $100 – only the chronically stupid would think they were buying the real deal because genuine Mk4’s usually retail for $1500 or so plus or minus a few hundred depending upon the model and one of the scopes was actually advertised as being for “Airsoft Only”. Anyway, I bought these 100% fake Leupy’s partly for the novelty and partly because I figured that rarely used .22LR plinkers really didn’t warrant more being spent. I zeroed these scopes but other than the initial day or so of playing around, they and their respective rifles have sat in the safe as I’m not really much of a .22LR shooter. So that’s where things would have rested with respect to these copy Mk4’s but for a few recent threads on a well-known Canadian website and the heated discussions they have generated. Boy, who would have guessed at the venom stored up inside some keyboard commandos – guys who, as likely as not, have a shop full of Chinese tools and vent their anger via a Made in China keyboard ! Anyhow, following on from the discussions about these Chinese copies I decided to test them out on something more that the .22’s. Many years ago I’d put a Chinese Mk4-orgery on a Chinese M14-type rifle and shocked myself that the scope held up but was that a ‘one off’ or not ? Let’s find out. I’d though about using my .338 Lapua or a .300wm to test these fake scopes but I decided against for the simple reason of ammunition cost. Rather than totally wimping on the test though I figured on a progressive test; starting off on a 22LR then a .223 followed by a .308 bolt gun and finally on my LRB M14 since these type of rifles are known to be hard on scopes. 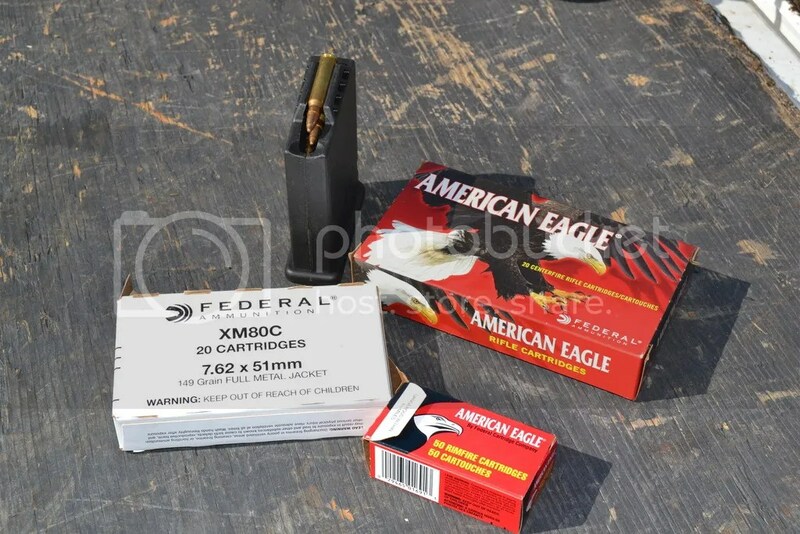 Ammo used was the cheapest factory stuff I had on hand but I would be zeroing at 50 yards and then shooting at a max of 100 yards the cheap stuff would be fine. All shooting was to be done from the ‘Redneck Prone’ position – from the back of a Chev Silverado one ton diesel pickup. 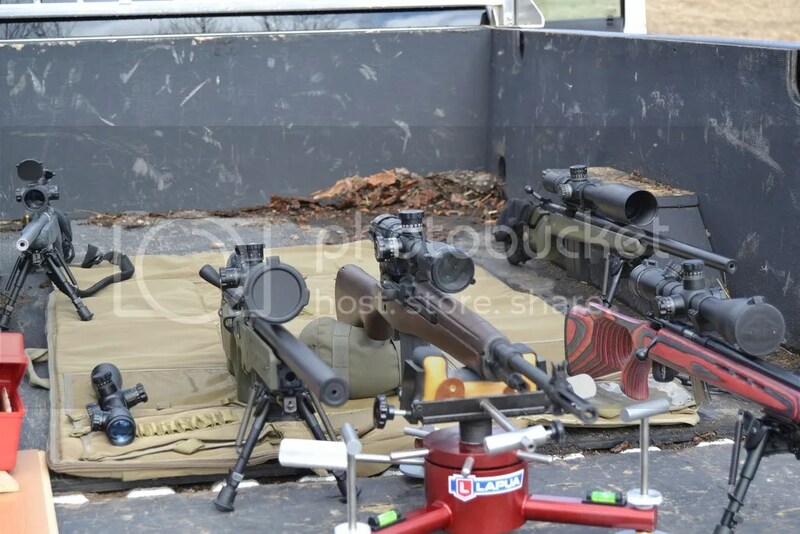 A selection of mid to high quality scopes were on hand to compare with the Fake Mk4’s. 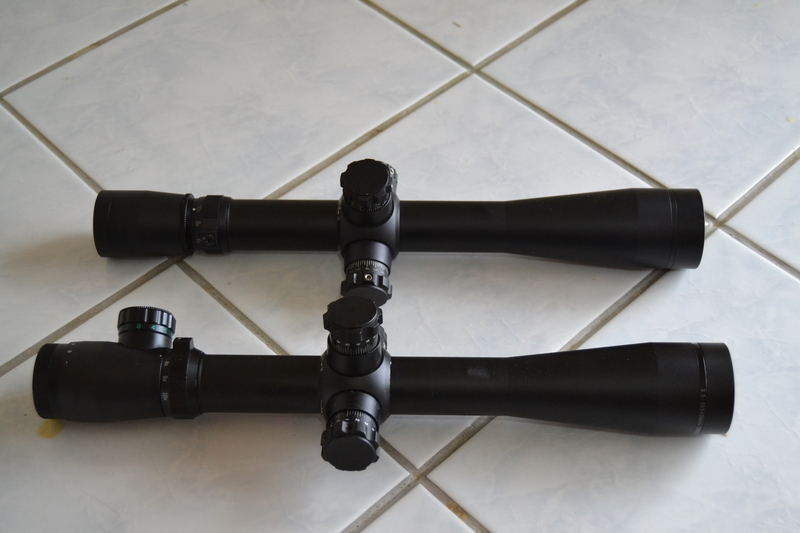 Comparison scopes included a SWFA SS 10-42, Leupold Mk4 3.5-10×40 and a NF NXS 8-32×56. 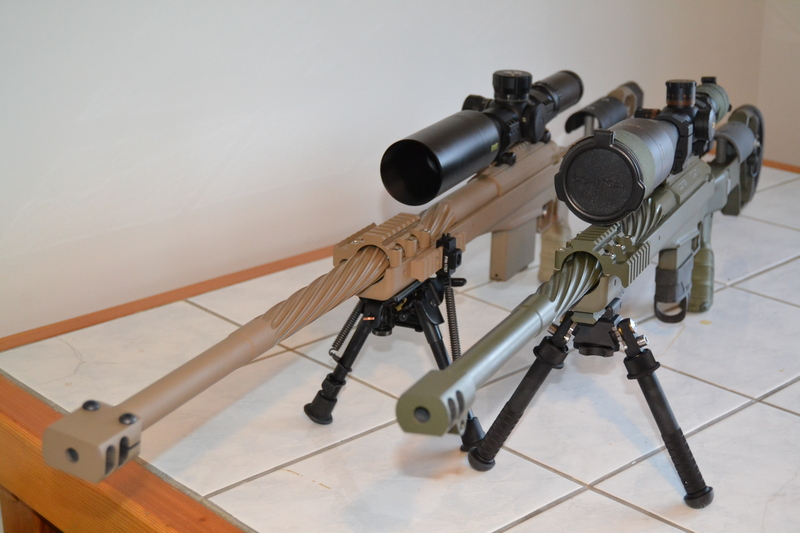 The two fake scopes were copies of the Mk4 3.5-10×40 and 4.5-14×50. 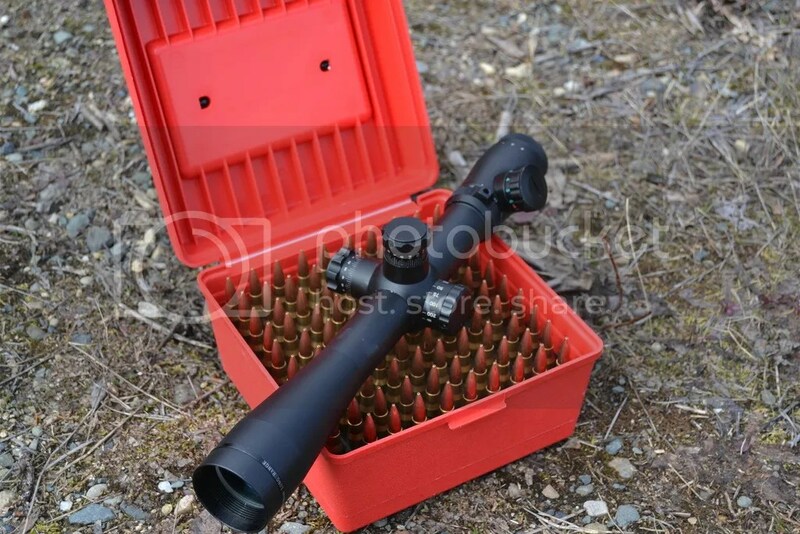 Optical clarity of these fakes scopes was average for cheaper scopes of the type you would find in a sporting good store or available online in the sub-$300 price range. I used ‘Eyeball As Issued Ver 1.0’ and it was a bright morning which helps to make poor glass seem better than it really is. Honestly I found both fakes to be on par with something like a BSA / Barska or Bushnell Banner. I suspect in poor light or rainy conditions the glass wouldn’t appear so good as that’s where cheaper quality shows its flaws. So what happened with the shooting? Well both fakes passed the box test and tracking test when mounted on the .22LR which was expected as that was the easy part. 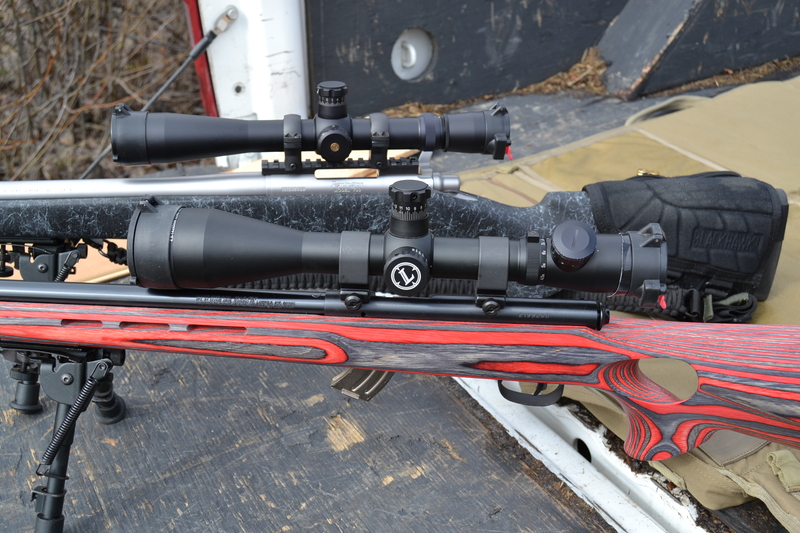 Likewise the .223 proved to be no problem – again a low recoil cartridge in a a very heavy custom rifle. Putting one Fake upon each of the two .308’s the fake 3.5-10 passed the box and tracking test quite nicely and nothing was amiss. However, I began to sense trouble with the turrets of the fake 4.5-14, they seemed less responsive and did not satisfy my demands for the box test as the 4 mins down at 100 only moved the POA about half that. Mmmm………. Feeling a bit apprehensive about scope survivability on the LRB, I mounted the 3.5-10 first and …….. surprise…… all was fine. A box of the Federal XM80C and the scope was as good as when I started. Sadly, however, the same cannot be said for the fake 4.5-14 as the elevation turret of the scope spun like a top and the LRB printed holes that looked like the random pokings of a demented chimpanzee. these scopes sold here were made by factories that make scope for their military use. They had night scopes in the late 1980’s when most of us did not know their existence. They could make great scopes if you pay them the right money. I was in one of these factories near Shanghai. Their facilities were world class. To get the best scopes, you have to know the factories and pay the right prices. You could buy world-class scope in private shops but when I was in Beijing last years, store owners told me that the government no longer allowed them to sell. Remember the most powerful space scope is now in China ! Any Good? Good for nothing and Good for S__T!…Crap scopes, do not patronize the Ant Colony! 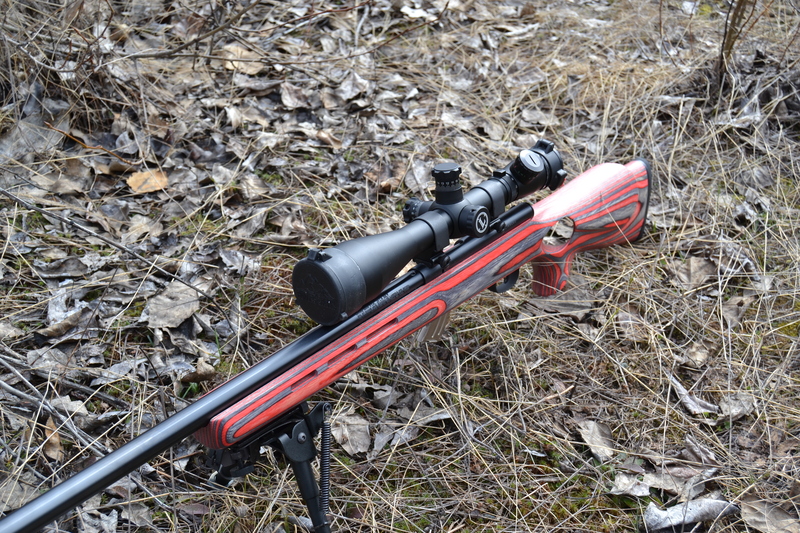 I traded into a 4.x14 and like you I tried it on a .22 and it seems to preform well with reasonable ammo . The crosshair light is a little bright and blurry on high but acceptable on lower settings I’d give it 3 stars for price and functionality. I have the 4.5×14 on my Ruger 30-06 with 155 grain Federal ammo and I can group within a baseball size target pretty good at 100 yds. Visually lens is okay in dusk light the green lighted crosshairs helps a lot. All in all not for use in shooting competitions but for deer or coyote hunting not a bad scope to have. The clones look good but there’s where they stop. I’ve experimented with them and after 100 rounds or so they start breaking. Even tested an external adjustment elcan specter, the windage screw sheared in half during a string of fire. They might hold up on rimfire rifles but I think it’s money wasted. And don’t trust eBay to police clones for you. I saw a 100.00 Leupold clone sell for 800.00. This, even after I advised eBay, they let it sell. Thanks for the article. You saved me a lot of time. Just curious,seems like if you buy a few you might get onethat might be alright.